Listing these properties on the State and National Registers can assist their owners in revitalizing the structures, making them eligible for various public preservation programs and services, such as matching state grants and state and federal historic rehabilitation tax credits. 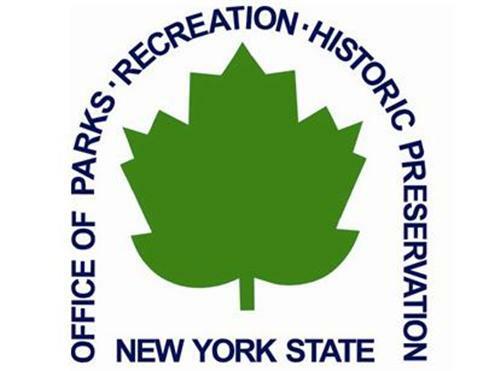 The State and National Registers are the official lists of buildings, structures, districts, landscapes, objects and sites significant in the history, architecture, archeology and culture of New York State and the nation. There are 90,000 historic buildings, structures and sites throughout the state listed on the National Register of Historic Places, individually or as components of historic districts. Property owners, municipalities and organizations from communities throughout the state sponsored the nominations. The Warren Eaton Motorless Flight Facility (Harris Hill Soaring Corporation), Big Flats – its selection to host the fifth National Soaring Contest in 1934 due to its topography and wind patterns led Harris Hill to become the first permanent site for the National Soaring Contests in the country, with camping facilities and a glider hangar added as the sport increased in popularity. Lyon Street School, Peru, Clinton County – built ca. 1881, the one-room rural schoolhouse continued to function into the 1930s, until school centralization made hundreds of schools of this type no longer necessary. LaGrange District School No. 3, Freedom Plains – the building served the educational needs of students from the Freedom Plains area from the 1860s into the early 1940s, at which time the town’s district school system was abandoned in favor of a consolidated school model. The Community of True Inspiration Residence, West Seneca – the ca. 1850 structure is the best surviving example of a house built by the Community of True Inspiration, a Christian group that established a settlement in West Seneca in 1842. Its design reflects the group’s principles of common ownership and plain living. E.M. Hager &amp- Sons Co. Planing Mill, Buffalo – one of few planing mills left intact in Buffalo, the 1878 structure served the company involved in the construction of many of the city’s premier buildings and later made beautifully detailed interior woodwork for commercial and residential projects. Buffalo Zoo Entrance Court – funded by the federal Works Progress Administration (WPA), the entry court and gates (1935-38) are the most intact surviving work of John Edmonston Brent, one of few African Americans practicing as both an architect and a landscape architect in the early twentieth century. Hamlin Park Historic District, Buffalo – the neighborhood is an example of an intact middle class African American neighborhood that was stabilized in the mid-twentieth century with the aid of the federally sponsored Model Cities program, which was developed in response to the failure of urban renewal programs to revitalize inner city neighborhoods. The Meldrum-Edwards Building, Buffalo – constructed ca. 1909, this is an early example of a reinforced-concrete frame building in Buffalo. The building is the only surviving property associated with the H.A. Meldrum Department Store, which used it between 1909 and 1922. Tonawanda Municipal Building, Kenmore – constructed in 1936 as a Works Progress Administration project to serve a growing community in a centrally located, easily accessible area of the town, the municipal building is an excellent example of late Art Deco design and civic architecture. Keith &amp- Branch Ford Motors Factory &amp- Showroom, Upper Jay – built ca. 1920, the building was conceived and erected to accommodate the partial assembly and local sale of Ford Motors Model T automobiles and is a rare and early example of automobile-related architecture in the Adirondack region. Brace Farm, Winfield – the farmstead, including an 1810 dairy barn and 1861 Italianate house, was originally established by the family of Revolutionary War veteran Abel Brace and has been worked by eight generations of the same family for more than two centuries. Meetinghouse Green Road Cemetery, Winfield – the oldest cemetery in the town was established in 1801 and contains the graves of many of the town’s earliest settlers. English Evangelical Lutheran Church (St. Paul’s Lutheran Church), Dansville – the 1847 church is considered nationally significant for its association with Clara Barton, who in 1881 addressed an audience gathered in the church’s sanctuary about the important work of the international organization known as the Red Cross and her efforts to found a similar organization in the United States. As a result of this meeting, the community supported her efforts by creating the first local chapter of the American Red Cross. Donald Mann House, Scottsville – built in 1830, the Federal style stone house was built of locally quarried stone for early Scottish settler Donald Mann- the residence reflects his station as a successful farmer and educated religious leader. Hurricana Stock Farm (Sanford Stud Farm), Amsterdam – Carpet manufacturer Stephen Sanford and his son, John, were the first to successfully breed Thoroughbred horses in the northeast using architectural and technological innovations to breed and train horses through the coldest parts of the year at this farm founded in 1880. Fire Hook and Ladder Company No. 14, New York – the Romanesque Revival style firehouse constructed in 1888-89 served its Harlem neighborhood until 1975- it is one of 42 structures designed by the prolific firm of Napoleon LeBrun &amp- Sons for the New York City Fire Department. Herschell-Spillman Motor Company Complex, Tonawanda – the early 20th century daylight factory buildings housed two important companies: Herschell-Spillman was a pioneer inventor and manufacturer of airplane and automotive engine motors, as well as a maker of carousels- and Remington-Rand Companies were renowned for their products that revolutionized record-keeping and storage methods. The Rome Elks Lodge #96, Rome – built ca. 1848 as a residence for a prominent citizen, the house was converted into the Elks headquarters in 1926, as the neighborhood was transitioning from a residential area to an extension of the city core. re – constructed in 1898 to meet a variety of local needs of residents of Cheshire and the surrounding countryside, the meeting hall was the focus of meetings and community activities, including continuous theatre productions on a fully appointed stage. Hillside Cemetery, Clarendon – established in 1866, the cemetery combines two distinct styles of cemetery design: a 19th century rural cemetery style with monuments emphasizing the sentimental Victorian attitude toward death on the eastern side, while the western grounds reflect the later more open lawn-park cemetery style. 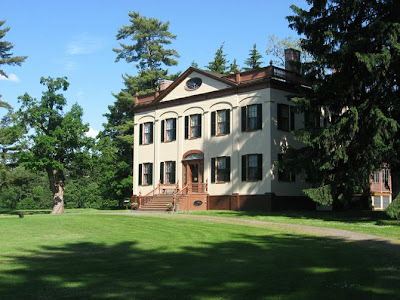 Mathewson-Bice Farmhouse and Mathewson Family Cemetery, Cooperstown Vicinity– the house was built sometime after David Mathewson moved from New England in 1796. 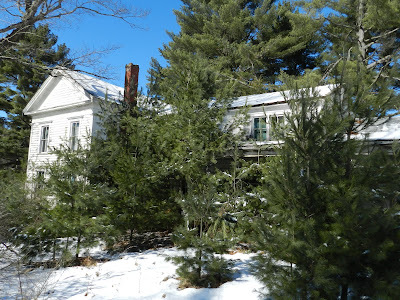 Its plank frame construction and center chimney, New England plan reflect its owners’ Rhode Island origin. The small family cemetery of eight graves was first used in March 1813, when two of the Mathewson daughters (Rhoda and Mary) died within one day of each other. Auclair-Button Farmstead, Melrose – the farmstead dates to 1791 and includes a house, the main portion of which was built in 1849, along with a tenant house (1805), shop barn (built 1810–1830), sheep barn (built 1830–1850), and an icehouse (1900) surviving in an intact rural setting. Cartin-Snyder-Overacker Farmstead, Pittstown – The farmstead retains a largely intact assemblage of historic agricultural outbuildings, including a threshing barn (1810), tool barn (1810), horse barn (1840-60), milk house (1920s), and ice house (1900). First Baptist Society of Bath – built in 1887-88, the Romanesque Revival building was designed by prominent Binghamton architect Truman I. Lacey and constructed by local builders for the village’s Baptist congregation, which had formed in 1842. Delaware &amp- Hudson Passenger Station (Lake George Railroad Station), Lake George – erected 1909-1911 as a complement to a nearby Fort William Henry Hotel, which was largely demolished in 1969, the Mediterranean Revival style station is among the last surviving features of what was a sprawling resort complex operated by Delaware &amp- Hudson to serve a thriving tourist industry. Nothing in Ulster County? I nominate The Davis Tavern in Marbletown. It’s a sweet pre-revolutionary stone building with cedar shingles, wooden beams and huge fireplaces at each end. Neglected. Are we crazy? Olivia, you must have an eligible building, you must have someone nominate it, owners who want the building to be listed, and that certain je ne sais quoi that gets you moved to the top of the waiting list. I’ll look into it. At least we’ve got the je ne sais quoi! A link to those properties that are already listed on the registers would be helpful.